PDKV Dr. Panjabrao Deshmukh Krishi Vidyapeeth, Akola Recruitment 2015 Details are given below. 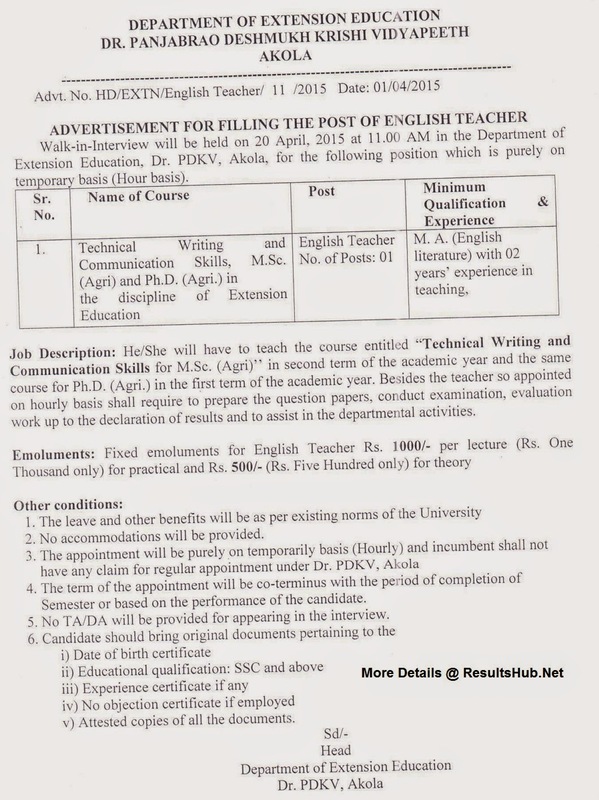 Under this Recruitment 1 Vacant post available (English Teacher). Last date to apply is 20 April 2015. Selection will be on the basis of direct Walk In.